Bayport Polymers LLC, the 50/50 joint venture owned by Total Petrochemicals & Refining USA Inc. and Novealis Holdings LLC — itself a joint venture co-owned by Borealis AG and NOVA Chemicals Inc. — held its official groundbreaking ceremony for the construction of a new 625,000 metric ton-per-year Borstar polyethylene unit at its production site in Pasadena, Texas, with an anticipated start-up in 2021. The state-of-the-art Borstar technology, which will be used in North America for the first time, will allow Baystar to produce enhanced polyethylene products for the most demanding applications. Approximately 1,750 jobs will be created during the peak engineering and construction activity. Baystar also is building a one-million-ton per year steam cracker in Port Arthur, Texas. The new cracker will process ethane, which is abundantly available and competitively priced in the United States, and will supply feedstock for its existing 400,000-ton-per-year polyethylene units as well as the new Borstar polyethylene unit in Pasadena. 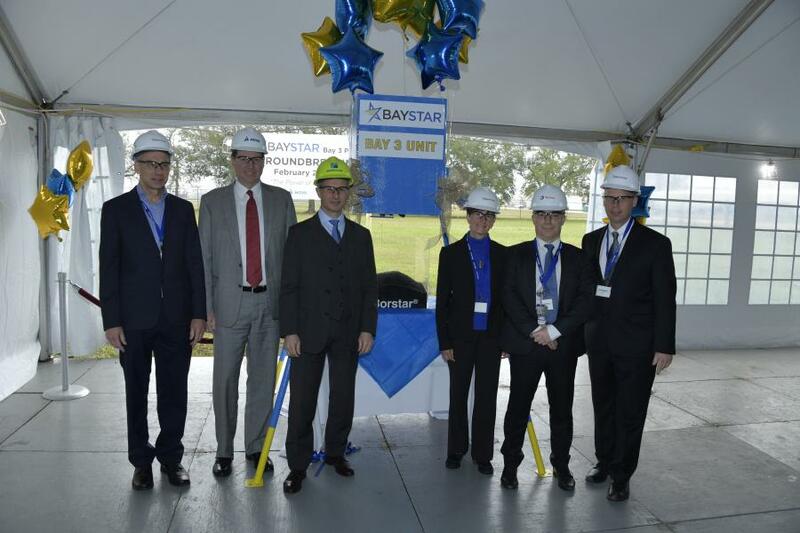 "This new Borstar unit will more than double the site's capacity and allow Baystar to provide our North American customers with a greater range of high-value-added and resource-efficient products," said Diane Chamberlain, Baystar president. "The Port Arthur cracker and the new Borstar unit are tangible evidence of the power of partnership between Total, Borealis and NOVA Chemicals." "With the ethane cracker project in Port Arthur now well under way, it is exciting to be here today with our partners Borealis and NOVA Chemicals to start the construction of the polyethylene unit here at Baystar," said Christophe Gerondeau, president and chief executive officer, Total Petrochemicals & Refining USA. "These two projects are a perfect example of Total's strategy to expand in petrochemicals where we can leverage cost-advantaged feedstock and capitalize on our integrated platforms such as Port Arthur." "Borealis is very pleased to be bringing our third-generation Borstar technology to the North American market for the first time," said Borealis CEO Alfred Stern. "Baystar will profit from this superior technology, but also from our success in developing and sustaining ambitious joint ventures on a global scale. We also are glad to have found partners who share our commitment to safety at all levels of operations." "It's exciting to be here today as Bayport Polymers celebrates this next milestone. We look forward to having Borstar technology available in North America, which allows us to better serve our customers with innovative products that help make everyday life healthier, easier and safer," said Todd Karran NOVA Chemicals CEO. Total and NOVA Chemicals are founding members of the Alliance to End Plastic Waste, an alliance of nearly 30 companies from the plastics and consumer goods value chain committed to advance solutions to help end plastic waste in the environment, especially in the ocean. Borealis is a founding member of Project STOP, an initiative that aims to eliminate the leakage of plastics into the environment. For more information, visit baystar.com, total.com, borealisgroup.com and novachem.com.